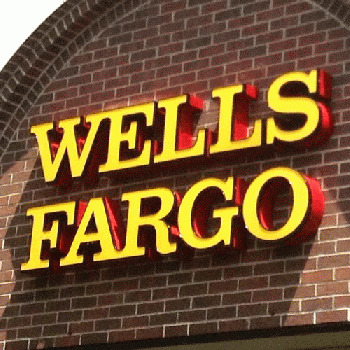 The Better Business Bureau Downgraded Wells Fargo. It's Not Enough. The Better Business Bureau pulled Wells Fargo's accreditation last week, which is what it's supposed to do when businesses cheat their customers. What took so long? If we judged big banks by the same standards we apply to auto body shops or dry cleaners, they'd have all been discredited a long time ago. "Nobody can recall a company of this size, this scope, losing their accreditation," a Better Business Bureau official said of Wells Fargo's downgrade. And yet, as CNBC notes, the Better Business Bureau still gives an A+ rating to Bank of America. One of the factors leading to the Wells Fargo downgrade, according to the Bureau's website, was "government action(s) against the business." That's consistent with its stated rating process, which says it considers "finalized government actions (which) ... raise questions about the business's ethics or its reliability in providing products/services." That fine, as far as it goes. Wells Fargo was fined $185 million after its employee incentive plan led to the creation of at least two million false customer accounts over a minimum of five years. It's now under criminal investigation by California Attorney General Kamala Harris. A downgrade was certainly in order. The Better Business Bureau's website says, "Government actions may be rated as major, moderate or minor, and the rating deduction varies accordingly." Wasn't Bank of America's $77 billion in fines and settlements "major" enough? 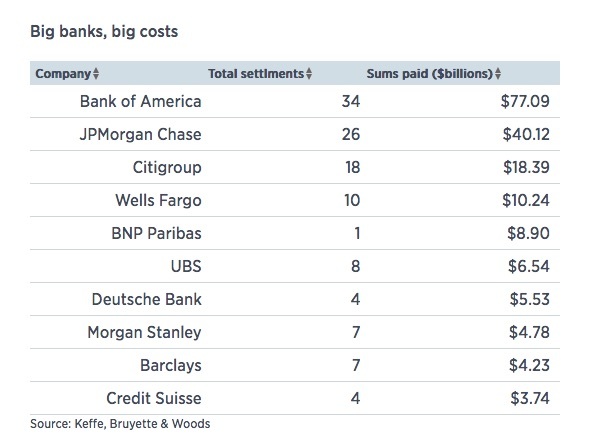 Compared to the fines paid by these banks -- and to past fraud settlements by Wells Fargo itself -- Wells Fargo's $185 million phony-account penalty seems like small change. Michael Hiltzik asked a pertinent question in the Los Angeles Times: Why did Wells Fargo's CEO lose his job while Jamie Dimon, CEO of fraud-ridden JPMorgan Chase, has managed to keep his? As Hiltzik (who discussed this issue with me in the audio clip above) points out, Dimon usually turns in a smooth performance when he testifies on Capitol Hill. But Wells Fargo CEO John Stumpf stumbled badly, while Sen. Elizabeth Warren made a stunning case for the prosecution. What's more, as Hiltzik writes, "JPMorgan's misdeeds tended to involve complicated transactions that laypersons could not understand." The same could be said of Bank of America and other major banks. Another insight into the Better Business Bureau may come from its own past scandals. It's been charged with operating a "pay for play" system that favors corporations who pay its membership fees. A CNN Money investigation in 2015 found that it gave A+ ratings to a number of companies that had received major government sanctions. They included mortgage brokers and financial firms, as well as nursing home chains, vitamin manufacturers, and medical testing services.